Ice cream colours are going to be huge this season, and I’m already considering investing in some pretty pink jeans. 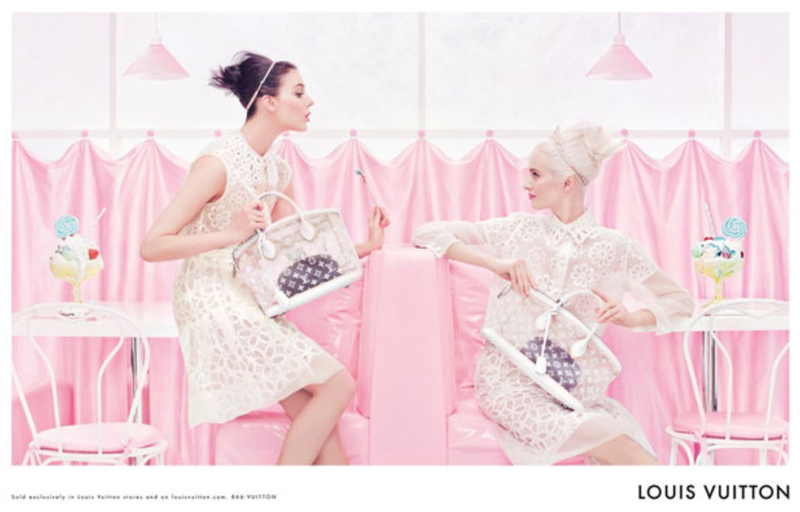 Not only that, but several brands are capturing a girlie, retro, summery vibe by using ice cream in their SS12 campaigns. Feel a little bit summery by checking out the ads below. Louis Vuitton have created a perfect pink paradise with a scene in a retro ice cream parlour, and Mulberry’s quirky photo shoot on Brighton beach captures the essence of English summertime with some oversize sweetie props.